Bipartisanship was the watchword at last week’s AIPAC conference, but it’s no secret that pro-Israel Democrats have trouble swallowing Israelis’ enthusiasm for President Donald Trump, whose approval rating in Israel hit 67 percent even before he decided to move the US Embassy from Tel Aviv to Jerusalem. They can understand Israel’s joy over that decision. But they can’t understand its seeming disregard of Trump actions that harm Israel, like abandoning Syria to Iran and Russia or divulging classified Israeli intelligence to Russia’s president. The explanation is simple, but unfortunately, Democrats won’t like it: Barack Obama set the bar for US-Israeli relations so low that there’s literally no Israel-related issue on which Trump has been worse than his predecessor. And there are many on which he’s been not just modestly better, but spectacularly so. Granted, there are still things America could do — and Israelis wish America would do them. But thanks to Obama’s choices, low-cost solutions no longer exist. In this situation, many US presidents would have opted for inaction. Certainly, Trump’s Democratic rival would have; as Obama’s secretary of state, Hillary Clinton was party to his decisions. So despite their dismay about the current situation, Israelis can’t blame Trump for this. The answer, to all but high-minded screenwriters intent on making serious movies about moral conundrums, is not too complicated: as long as there are bad guys with guns trying to kill us. In 7 Days, however, the bad guys aren’t that bad—they’re German intellectuals, which means that, periodically, they must put aside their AK-47s and debate the dialectical nature of history. The villain-as-grad-student paradigm isn’t inherently terrible, nor is it historically inaccurate. Wilfried Böse and Brigitte Kuhlmann, the plane’s two German kidnappers, were, by many survivors’ accounts, prone to lengthy conversations about justice and virtue and other abstractions, and there is something about the airless, dusty African terminal, with ultimatums afoot and the clock ticking down, that could’ve made for a fine piece of existential, almost abstract, theater. One can imagine an Entebbe film that, secure in the knowledge that we all know the action-packed fairy tale by now, would abandon the explosions and the gunfire for two hours of tense dialogue, a sort of Twelve Angry Men between hostages and their tormentors. And, at times, that appears to be just the movie the actors portraying Böse and Kuhlmann—Daniel Brühl and Rosamund Pike—have in mind. When Kuhlmann telephones a lover back home in Germany and wearily recounts the hijacking, she seems eager to escape not just Uganda but the film itself, both of which deprive her of a role that much transcends a few angry shouts and nervous convulsions. You can hardly blame her. Like much of Hollywood these days, 7 Days believes that a movie’s primary responsibility is to make progressive statements, not unfettered art. The message is the medium, and the message is best delivered in bursts of political speechifying. Sadly for the bien pensants, however, we unwashed masses go to the movies to be entertained, not educated, which leaves the film in a bind. Disinterested in the true depths of terror, and disdainful of the sheer kineticism of a good action sequence, it opts for something in between. The film’s climactic scene, for example, the raid on the terminal, is shot in infuriating slow-motion and cross-cut with a modern dance performance, forcing you to embrace its sophomoric war-as-metaphor theme one last, frustrating time. Whereas Chuck Norris, the hero of a previous Entebbe-inspired magnum opus, once blasted baddies with his rocket-launching dirt bike, lithe ballerinas now throw themselves on a bare stage. Catharsis is not permitted. Neither is fun. Europe could learn a thing or two from Australia about putting a stop to the mass illegal immigration that jihadist groups use as a cover to infiltrate terrorists into our countries. But Australia’s successful strategy is too politically incorrect for the lily-livered European politicians who prefer to appease would-be attackers and their sympathisers. One of the main architects of that strategy is General Jim Molan, the distinguished soldier who was also chief of operations for the coalition in Iraq. I catch up with him in Canberra the week he takes his seat in the Senate. From the advent of below-article comments, anti-Israel activists have been taking advantage of online forums and social media to sew lies and hateful messaging about the Jewish state. It has taken awhile, but the government of Israel and a powerful network of pro-Israel advocates in the private sector are now proving to be a formidable opponent to the Israel-haters in countering anti-Semitic bias and spreading positive stories that represent the real face of Israel. “For the first time, BDS [Boycott, Divestment and Sanctions] groups are on the defensive,” declared Gilad Erdan, Israel’s Minister of Strategic Affairs and Public Diplomacy to a group of more than 60 social-media experts gathered in Jerusalem on Monday and Tuesday for the three-day #DigiTell18 Conference sponsored by the Ministry. Participants arrived from 15 countries spanning six continents to hear from leading global digital experts in the private and public sectors, including Google, Facebook, Snapchat, Outbrain and the Prime Minister’s Office, about strategies and insights towards becoming better Israel activists online. To counter the bias, Erdan said the “key roles of the pro-Israel community” are to flag anti-Semitic and inappropriate content on social platforms. He also noted exposing “pallywood productions” made by pro-Palestinian activists to paint Israel in a poor light through the intentional misuse and framing of images and videos. David Keyes, Israeli Prime Minister Benjamin Netanyahu’s foreign-media spokesman, discussed at length the powers of persuasion in communicating Israel’s messages in a nearly impossible messaging environment. “We are facing a ‘disinformation apocalypse’ unlike anything we have ever seen,” he stated. Stephen Hawking, the idol of science, spoke to the world using a processor built in Israel, the Intel Core i7. Yet, Hawking took part in the boycott of the Jewish State and was then hailed by all pro-Palestinian fans and fanatics (Hawking later partially retracted his position). Hawking and those who promote these anti-Semitic discriminatory policies should have known that disabled people in the Arab world are “invisible” because they are segregated and hidden from the public, as though they are something to be ashamed of, while Israel's commitment to fight diseases deserves to have a book written about it. Israel is one of the most important laboratories in the world where cures for diseases and disabilities are found, from blindness to paralysis, from Alzheimer's to injuries. Israel is a “start up” nation not only for high tech, but also for science and medicine. That is why Israel has one of the world's highest per capita rate of Nobel Prizes, scientific degrees, publications and new books per person. The “People of the Book” in the State of Israel also became the “people of the books”. In Israel, paraplegic war heroes are protagonists of TV series, disabled athletes are very successful and praised, like the swimmer Keren Leibovitz. There is an image that explains Israel more than many articles and words - the dance of the disabled people serving in the army, they sit on wheelchairs while holding hands. While I was writing my book on terrorism, “A New Shoah”, I met Moshe Gottlieb's wife. He was known as the "healer" for Down Syndrome children and disabled people. It was Moshe who helped those who were considered hopeless. Moshe was killed by a Palestinian Arab terrorist as he went, as usual, to visit the sick. On or around March 30, 2018 to commemorate what they call “Land Day”, Palestinian Arabs in the Gaza Strip are preparing for “the great return march” where more than 100,000 people are expected to march to the Israeli border to raise awareness about the so-called right of the Palestinian refugees to "return" to what they call their homes. Of course, even if some of their great grandparents were refugees, a doubtful possibility at best, they certainly are not - and the only reason they have not built fruitful lives in Gaza is the corruption of their terrorist leaders who use the billions granted them by a naive world to create terrorist infrastructure instead of jobs. The organizers of the march reported that they intend to recruit about a hundred thousand participants and Hamas and other terrorist organizations have announced their support for the march and called on their followers to participate. Let me say it again: Terrorist organizations and their supporters plan to march to the borders of Israel with 100,000 people who intend to storm the borders of Israel as they proclaim that the Jewish state should cease to exist. Against this backdrop, organizations funded by the radical New Israel Fund are shamefully assisting the organizers of this march and sympathizing with them. Incomprehensible. During the 1967 Six Day War, then-prime minister Levi Eshkol and Golda Meir, secretary-general of the ruling Mapai party, wanted to move Palestinians from the Gaza Strip to the West Bank, according to recently released government documents from the time. The documents were presented by Hagai Huberman and Dr. Miriam Billig at a seminar Thursday sponsored by the Institute for National Security Studies and the Katif Center. The seminar focused on a study by the two journalists on the perception of the Gaza Strip by the Israeli government since the establishment of the state. Once again in the country of my birth, BDS rears it’s ugly, bigoted, antisemitic head. After a narrow “victory” at Ottawa U last week (while BDS had a majority of votes, they didn’t have the two-thirds majority needed to win), a few hours’ flight away in British Columbia, a group of professors have decided to boycott a conference that was to take place at Hillel’s facilities – apparently because they disagree with their support of Israel. The professors from Geography Department at UBC boycotted a gala that was scheduled to be hosted at Hillel because they objected to the State of Israel. They threatened not to attend if it was hosted there. This is clear-cut antisemitism. Recently, the Geography Students Association (GSA) cancelled a private event at Hillel due to pressure and intimidation from faculty members of the Department of Geography at UBC, who adamantly refused to attend the event if it was hosted at Hillel, the Jewish student centre on campus. As a result, a Jewish student resigned from the GSA executive as he felt targeted and discriminated against. The excuse provided by these faculty members is that Hillel has too much of a “controversial” and “political” nature. Theirs is an absurd justification and a wrongful mischaracterization of Hillel. First and foremost, Hillel is a safe space for Jewish students, and a place where all are welcome to engage in dialogue. The truth is that what these faculty members object to is Hillel’s support of the existence of the State of Israel. Jewish students at Wits University in Johannesburg have reacted with shock and disdain after posters and flyers depicting world-renown Holocaust victim Anne Frank dressed in a Palestinian scarf circulated around the campus, as part of an Israel-Apartheid Week campaign taking place this week. According to one of the flyers, the picture was designed as part of the Palestinian Solidarity Committee’s #Flyers50Campaign. An explanation written on the pamphlet said: “This is a flyer that depicts Anne Frank wearing a Palestinian keffiyeh. It draws attention to the fact that the same racism, hardship and oppression that was faced by Jews during the Nazi times is repeated in modern times,” alleging that Israel’s “occupation” is as bad as the Holocaust. The flyers were stuck on the walls of well-known public areas at the campus. Roger Waters lives in the Hamptons: 229 Quimby Lane Bridgehampton, NY to be exact. He lives approximately 16.8KM from the Shinnecock Hills Golf Club (200 Tuckahoe Rd, Southampton, NY). The tribe’s lawsuit challenged the state legislature’s approval of an 1859 sale of the 3500 acres of tribal land to non-native persons. This broke the terms of a 1,000-year-lease signed in 1703 by Southampton colonial officials and the tribe. The suit charges that in 1859, a group of powerful New York investors conspired to break the lease by sending the state Legislature a fraudulent petition supporting the sale, which was purported to be from a number of Shinnecock tribal members. Although other tribal members immediately protested that the petition was a forgery, the Legislature approved the sale of 3,500 acres (14 km²) of tribal land. Facebook has amended its policy to allow Jewish neighborhoods located outside the 1967 borders to be included in ads targeting residents of Jerusalem. Prior to the change, companies that advertised products or services to Israelis on Facebook would only be able to target Israelis living inside the Green Line. The ads would not reach the residents of neighborhoods established after Israel captured parts of the West Bank in east Jerusalem in the 1976 Six-Day War, such as Gilo, Pisgat Ze'ev and Neve Yaakov. After learning of the issue from Israeli news site "Hottest Place in Hell," which encountered difficulties when trying to target locations in Israel on Facebook, Deputy Foreign Minister Tzipi Hotovely reached out to Facebook to demand an explanation. In a letter of complaint, Hotovely wrote, "It is unfathomable for Facebook to exclude neighborhoods in east Jerusalem from the map of Israel within the framework of its advertising tools. … According to the [location targeting] map Facebook presents, neighborhoods like Gilo, French Hill, Pisgat Ze'ev and others do not even appear on the map of Israel." Sackur provided no context to either of Tibi’s examples, meaning that audiences remained unaware that metal detectors were not “put in the Al Aqsa Mosque” at all but at the entrance to Temple Mount following a terror attack at the site by three Arab-Israelis. Neither were they told that the “taxes” are not “on the Christian church” but on church-owned properties that are not used for worship – just as in the UK. Neither did he question Tibi as to how his claim that “we are not supporting violence” squares with the fact that members of his Knesset list paid a condolence visit to the families of terrorists in 2016. 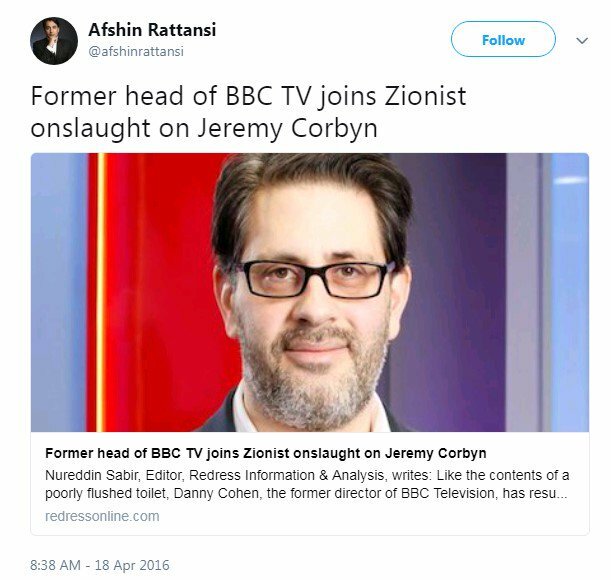 Sackur then brought up the Ahed Tamimi case – but failed to inform BBC audiences that the charges against her include incitement to violence: again a relevant topic given Tibi’s claim to support exclusively non-violent protest. A top Polish diplomat vowed to “intervene” in having text removed from the Yad Vashem Holocaust museum in Israel that refers to “Polish police” under Nazi occupation. Jan Dziedziczak, the deputy director of the Polish Foreign Ministry, complained about the text in an interview on Thursday while on a visit in Israel, Radio Maryja reported. The passage said “Polish police” guarded the entrance to the Lodz ghetto. His criticism of the text, which reflects a consensus among historians but that Dziedziczak said suggests Poles were complicit in the Holocaust, comes amid a diplomatic crisis in Israel-Poland relations over Poland’s passing last month of a law that criminalizes blaming Poland for the Holocaust. Israel protested the law, which international Jewish groups said prevents open discussion and may limit research on thousands of Poles who betrayed Jews to the Nazis or killed Jews. An Indian publisher has come under fire for a children’s book that lists Adolf Hitler among a group of great world leaders. The Simon Wiesenthal Center called on Pegasus, a children’s imprint of the B. Jain publishing house, to pull the book “Great Leaders” off shelves and from its online catalog Thursday. The book’s cover includes pictures of Hitler, Barack Obama, Nelson Mandela, Mahatma Gandhi and current Indian Prime Minister Narendra Modi, and praises them as world-leading visionaries. The director of a foundation in London is the first British recipient of the JJ Greenberg Memorial Award from the Jewish Funders Network. Amy Braier, director of the Pears Foundation, is the 15th recipient of the award honoring foundation professionals age 40 and under engaged in grantmaking who have demonstrated extraordinary leadership in Jewish philanthropy. She accepted the award Thursday at the Jewish Funders Network conference in Tel Aviv. The award is named for an activist in Jewish outreach who was killed in a traffic accident at age 36. A graduate of the University of Cambridge, Braier has been director of the foundation since 2012. In addition to overseeing the foundation’s grantmaking and operations, she leads its Holocaust education and higher education work, helping to establish the University College London Centre for Holocaust Education, the Pears Institute for the Study of Antisemitism, and the UK Task Force on issues relating to Arab citizens of Israel. The David S. Wyman Institute for Holocaust Studies announced that Wyman died at his home in Amherst, Massachusetts, after a lengthy illness. Wyman was a professor emeritus at the University of Massachusetts, Amherst. The grandson of Protestant ministers, Wyman was in graduate school when he began a long-term quest to learn what was done on behalf of the millions of Jews rounded up and murdered by the Nazis and their collaborators during World War II. 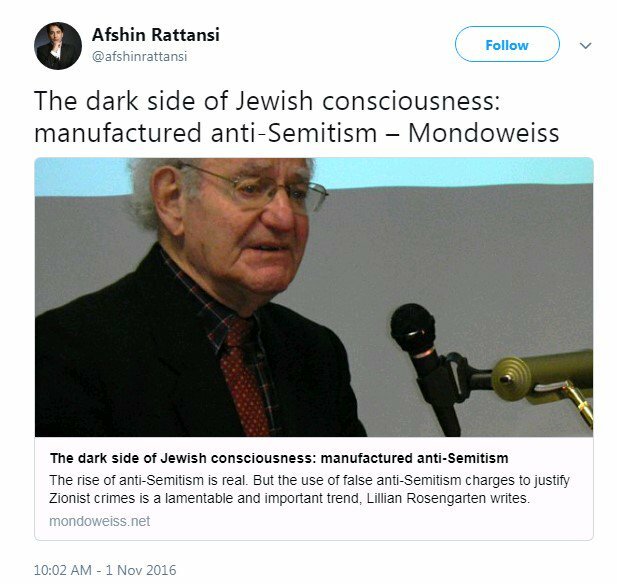 He was best known for “The Abandonment of the Jews: America and the Holocaust 1941-45,” which came out in 1984 and sharply intensified a debate that began during the war. Drawing upon private and government records and contemporary media accounts, Wyman found widespread indifference and hostility to the Jews in Europe, even as their systematic extermination was conclusively documented. He faulted religious organizations, Jewish and non-Jewish; mainstream newspapers and movies; and the anti-Jewish feelings of the general public. They built it, and they came. In June 2014, The Times of Israel was the first to report that Major League Baseball sportswriter Jonathan Mayo and his childhood friend filmmaker Jeremy Newberger hoped to organize a Birthright Israel-type trip for professional Jewish American baseball players, and make a film about it. It took two and a half years for the pair, along with Newberger’s partners at Ironbound Films, Daniel A. Miller and Seth Kramer, to turn this dream into a reality. The idea picked up momentum and financial backing only after Israel managed to field a qualifying team for the 2017 World Baseball Classic comprised mostly of American Jewish players. An Israel trip for 10 of the team’s 28 members took place in January 2017, two months before the WBC. Now the filmmakers have hit it out of the park with their documentary about Team Israel’s journey, titled “Heading Home.” It premiered at the Atlanta Jewish Film Festival in February and will travel the Jewish film festival circuit before screening in movie theaters this summer. The film has more than enough on-the-field action to satisfy sports fans. However, the filmmakers never take their eye off the ball: The growth and transformation of the players’ Jewish identity as they get in touch with their heritage by visiting and playing for Israel. The Israeli city of Tel Aviv was found to be the 9th most expensive city in the world, outranking Tokyo and New York, according to a list published by the Economist on Thursday. Meanwhile, the MoveHub website has found Israel to be the 10th most expensive country in the world. The MoveHub study looked at items such as basic and retail consumer goods, housing, transportation, power and water prices, as well as taxes and leisure costs. Bermuda was named the world's most expensive country, followed by Switzerland and Iceland. The Economist's annual ranking, meanwhile, compared the prices of over 150 items in 133 cities worldwide. It found that, for example, transportation costs in Tel Aviv were 79% higher than in New York. Singapore was named the world's most expensive city, followed by Paris, which climbed five spots from last year, Zurich (+1), Hong Kong (-2), Oslo (+6), Geneva (+1), Seoul, Copenhagen (+1), Tel Aviv (+2) and Sydney, which moved up four spots from last year and rounded up the top 10 list. Israel has become the world’s first country to approve cannabis vaporizers for medical use. The Israeli Ministry of Health has granted initial approval to the VapePod vaporizer developed by Kanabo Research, a Tel-Aviv-based medical cannabis research and development company, according to a report by Israel21c. Most medical marijuana patients receive the benefits of cannabis from smoking. The approved vaporizer will free users from the detriments of smoking and deliver consistent, accurate dosing in a more effective manner. Christians United for Israel announced this week that the group had topped 4 million members, making it one of the largest pro-Israel organizations worldwide. “We could never have predicted that when 400 Christian leaders met in 2006 to establish CUFI, we would reach 4 million members in just over 12 years, yet here we are. CUFI is more than an organization; it’s a movement of millions of Christians who choose to abide the biblical mandate to stand up and speak out for the children of Israel,” said CUFI founder and chairman Pastor John Hagee. Since its establishment in 2006, CUFI has held 3,000 pro-Israel events in cities and towns across the country; brought nearly 1,000 leading pastors to Israel; and trained more than 3,000 pro-Israel activists at some 350 universities. CUFI’s annual summit in Washington is attended by 5,000 pro-Israel activists. Gideon Lichtman spent more than 30 years teaching under an assumed name after Israel’s president warned he could well be a target for assassination. Lichtman, who died Wednesday at 94, was the first fighter pilot in the young Israeli air force to shoot down an enemy fighter in aerial combat. The afternoon of June 8, 1948, was hot, hazy and windy. Egyptian Spitfires were shooting up Tel Aviv. Lichtman, in a comparatively rickety Messerschmitt with no radio or oxygen, took out the enemy aircraft. His action, along with his fellow men, helped secure Israel’s victory in its war for independence. But there was a price to pay for Lichtman, who was born Oct. 6, 1923, in Newark, New Jersey. After his military experience, he earned his bachelor’s degree in education from the University of Miami in 1950. His son Bruce tells the story about his father’s need for a professional assumed identity. For more than 30 years, Lichtman, the son of educators, taught history, business and work experience classes at Southwest Miami Senior High. But his students would have known him as Mr. Rimon. “He was told by Ezer Weizman, [the seventh] president of Israel and former minister of defense, that Israel had intercepted Arab intelligence that they were intent on targeting foreign pilots who served in Israel,” his son said. Join us on a journey through the last 70 years to discover how Israel has become one of the most creative and innovative countries in the world. Our fascinating timeline of accomplishment is the first part in a special multimedia package we've created to celebrate Israel's 70th anniversary. 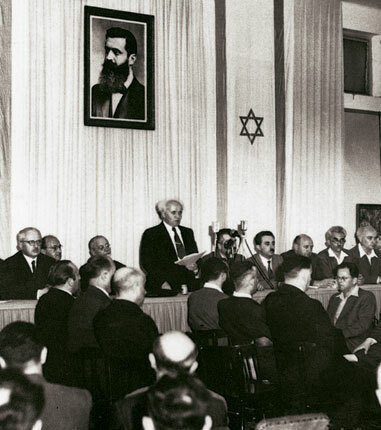 Israel’s first Prime Minister David Ben-Gurion publicly announces the Declaration of the State of Israel, May 14 1948 in Tel Aviv. • The new country’s population numbers 806,000.